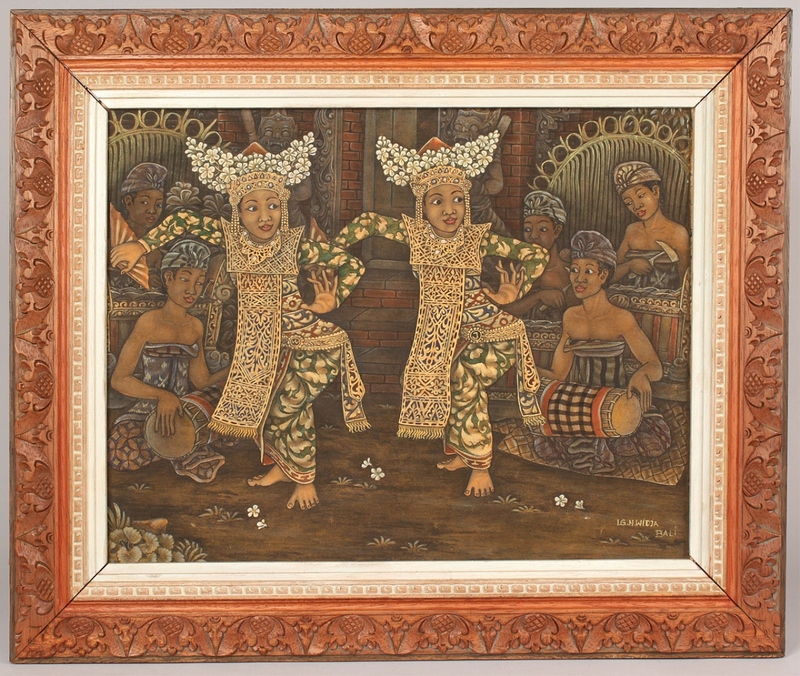 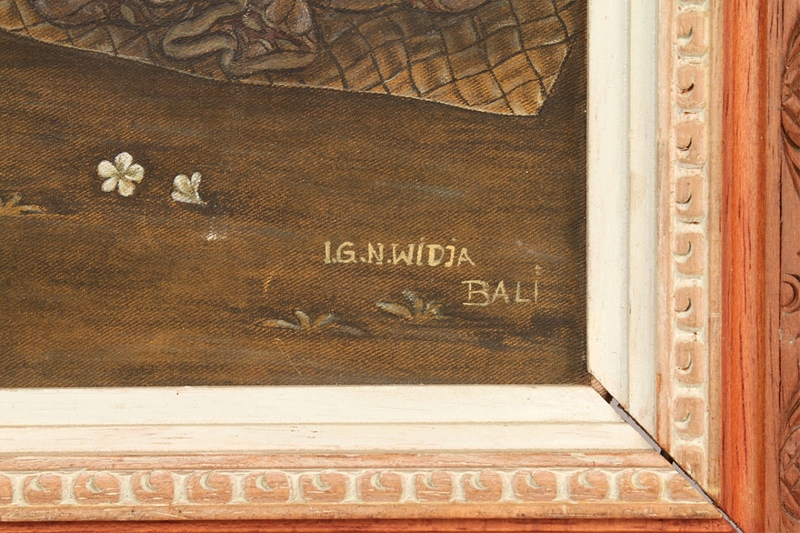 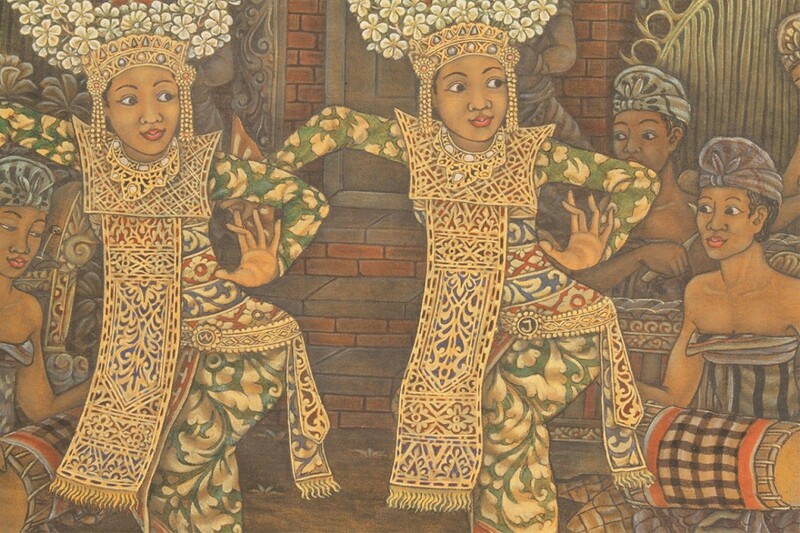 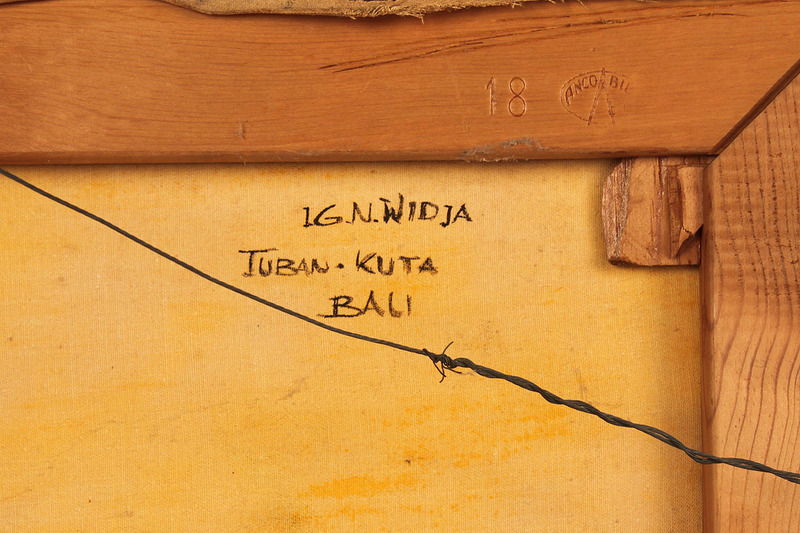 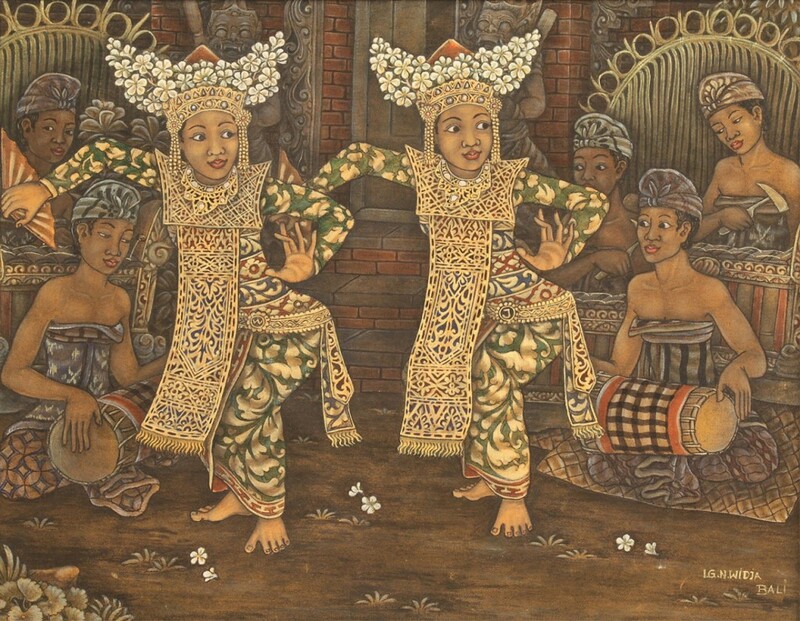 Balinese gouache on canvas, signed lower right "I. G. N. Widja, Bali" (Ida Bagus Made Widja, Bali, 1912-1992), depicting Balinese dancers entertaining at court. 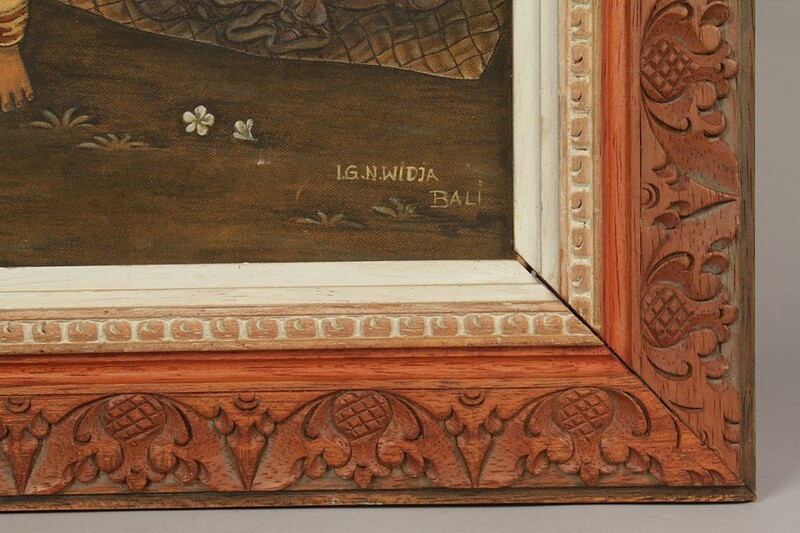 Appears to retain the original hand carved wooden frame. 13 3/4" H x 17 1/2" W. Framed: 19 3/4" H x 23 1/2" W. 20th century. 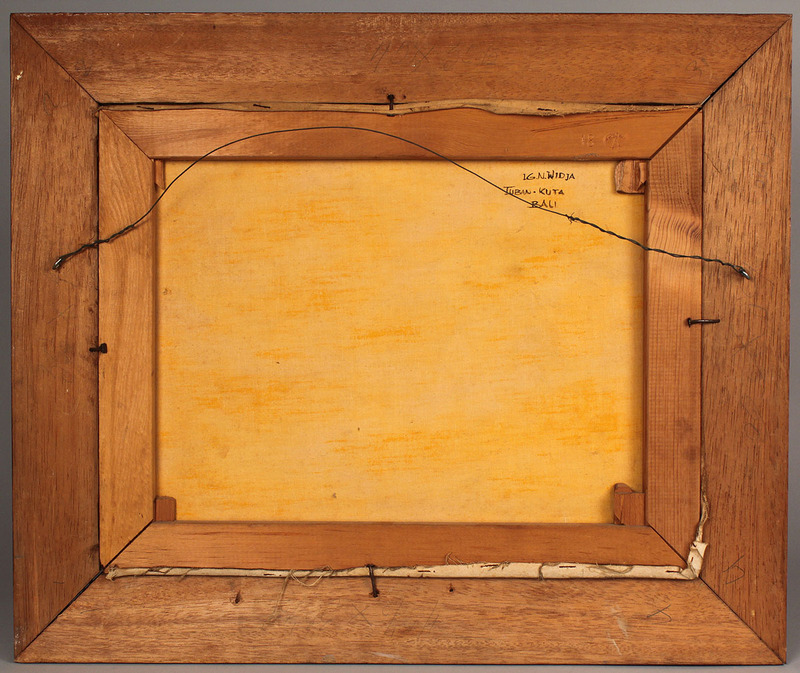 Condition: Overall very good, some slight abrasions to frame.